I double dog dare you to make this pretty little recipe. Then I triple dog dare you NOT to eat 5 of them yourself. Because not eating 5 of them yourself with take skill. However, my fine friends if you have a better handle on your chocolate addicted life than I do, and want to make a mouth watering, decadent dessert for those you love (did you know Valentines day is coming up? You did! Well, aren’t you really somethin’) then make these Red Velvet Cream Cheese Brownies. Because they are really somethin’. 4. Bake at 350 degrees for 45-55 minutes or until a toothpick inserted into the middle comes out clean. Let the beautiful brownies cool on a wire rack, then lift them out of the pan, cut and serve. Gasp – oh Jamie – they're the prettiest brownies I've ever seen! Stunning!! When can I buy your cookbook? Hint! Oh yes, I am definitely trying these. Red velvet anything is my oldest son's favorite. Thanks for the great recipe! Cook book! Cook book! Cook book!!! Oooh great idea! Oh my! These look delicious!!! I can't decide if I want to make them as my superbowl dessert or for my hubby's and my V-day anniversary! Decisions, decisions! Made these this morning! Omg amazing! I used reduced fat cream cheese so the crm ch mixture was thinner than in your pictures. Not as pretty but still DELICIOUS! 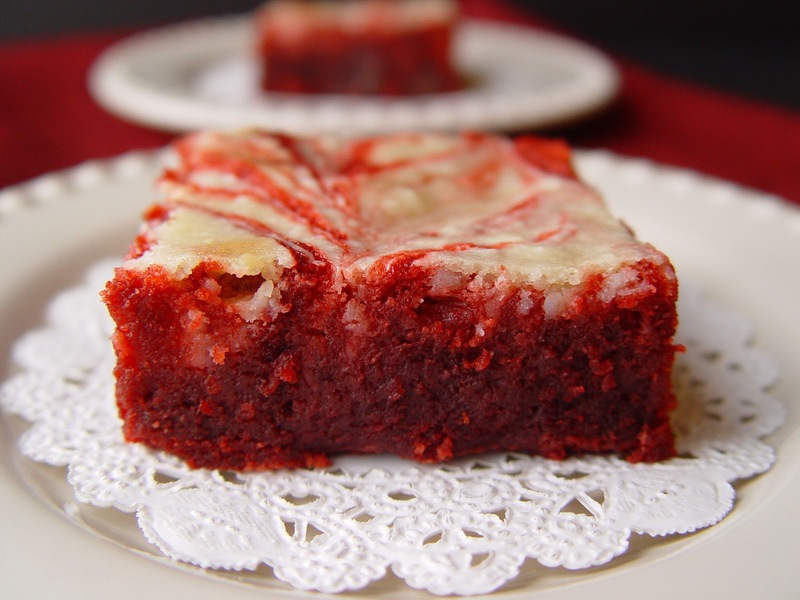 I always love red velevet but am leary of the food coloring…is is really necessary? It is just for looks, right? You are correct, the red food coloring is just for looks. You could make these without it and they would still be wonderful. Good luck! Rob the firstSeptember 5, 2012Hummingbirds! I was trying to make out what those were. Good eye, Robert. And Robert, in NYC a good heohadst photog w/ hair and makeup can run around a thousand bucks, give or take. Not cheap. But to be honest, if one does their own hair and makeup, a skilled amateur could take a really good heohadst. Jess, as a suggestion, you may want to try and find a photographer who is looking to move into heohadst work. Try modelmayhem.com or craigslist. Look for a photographer who is looking for TFP trade for pics. You get heohadsts and he/she gets something to add to their portfolio. Just make sure you check out their portfolio BEFORE meeting them to make sure they are on the up and up. A few references wouldn’t hurt either. This could be a hit or miss kinda thing though. Forgive me if I’m giving you advice that you already know. I literally had a dream I made and ate these the night after I read this recipe!! Now I need to make my dream a reality! My first thought it that perhaps your food coloring gel is old? Sometimes food coloring gel can get dried out and then it's not as potent. Might this have been the problem? I always us all purpose flour. Good luck! Hope you love them! My cream cheese mixture was very runny. Any thoughts? That has happened to me in the past as well. Sometimes if your cream cheese is SUPER soft, it can make the batter runny. Also, if you use a store brand, or if you add all of the cream cheese layer ingredients together at a time rather than beating the cream cheese first…you can end up with runny batter. That said…did they still turn out good? Just looking for free prlbiante coloring pages of Bible stories for kids. We are missionaries in Cambodia and would love to see what you have. How do I access these? Thanks for any help you can give! It wasn't store brand. It may have been too soft or maybe I shouldn't have beat it as long as I did. They taste good, but don't look nearly as nice as yours! They actually got a little brown on top. I have a convection oven & I even knocked 15 degrees off and only baked for 45 min. I'll have to watch them a little closer next time! Thanks! Love your recipes! I went to Michael's to get the food coloring and they handed me the frosting coloring. Is this what you use? Don't want to waste all the $$ using the wrong stuff. If it's gel, or a paste it should work just fine. When you hit the Film Festival circuit, can you make sure you ildunce the New Zealand International Film Festival?! I have been pestering them (in a charming manner of course) for sometime now. Bill Cunningham and The Eye Will Travel have had great audiences here, as I am sure Advanced Style would also. I just went to get the food coloring gel, the only thing my grocery store had was pink gel, and A red decorating gel that was in a tube. I'm not sure what decorating gel is but it was a very small tube of it, do you think this will work? I have liquid red food coloring but I know it may affect the flavor like you said. 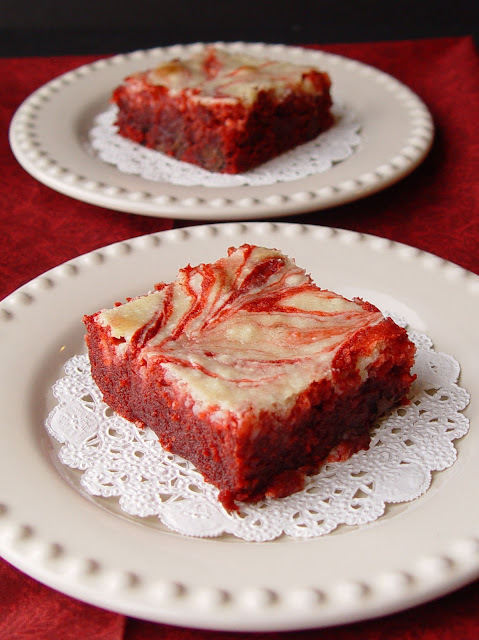 I have seen many recipes online that use regular red food coloring, I think you will be ok to use it. However the red decorating gel in the tube should work out as well. Did you notice what brand it was? Might it have been “Americolor”? That is a great brand, as well as the Wilton brand you see in the picture above. You can purchase Wilton at Walmart, and most craft stores. Good luck! I made them and they turned out great!! Everyone loved them! I did some research and decorating gel isn't the same as gel food coloring so I ended up buying the pink food coloring gel and added the whole bottle to make it red. They were delicious!!! Thanks for another great recipe! So glad to hear it Danielle! Thanks for letting me know and have a great Valentines Day! I am so disappointed! I followed the recipe word for word and ended up with cake instead of brownies. I called my daughter to see how hers turned out, we were both making them to give to friends for Valentine's Day, and she said the same thing happened to her. Why did this happen to us. We are both experienced bakers. Wow, I'm so sorry they didn't turn out as you were expecting them to. Can you give me a little bit more information about how they tasted and looked? That may help me determine what went wrong. Hi, I went strictly by the recipe and even cut down on the baking time and mine turned out more like a cake than brownies. They still taste good but I love the texture of the ones in your picture. Should I maybe cut back on flour or even less cooking time?I do a lot of baking and really want to master this recipe. You are not the first to ask this question. :)I would imagine that a little bit less flour (be careful)might do the trick, as well as baking them less. Good luck. I'm planning on making them again soon, to see if I can get them to turn out a second time like the pictures and to be sure all instructions are clear. These look delicious and was so excited I finally got a chance to make them! I have one question, I forgot to add 1/2 cup of chocolate chips and didn’t realize until I was adding the cream cheese mixture. Has this ever happened to you before? Is leaving them out going to make a big difference in the taste? I accidentally left out the 1/2 cup of chocolate chips. Will this make a big difference in the taste? They will still turn out great. 🙂 Hope you love them!